Female Seeds review is tied for 5th spot this year. 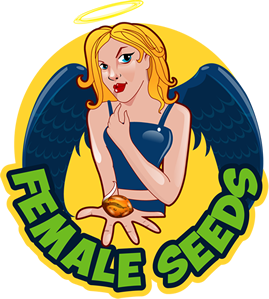 They are specialized in producing female cannabis seeds. All their feminized seeds are 100% female genetics. It's a time and cost saver to grow feminized seeds. You save on electricity, water, space and nutrients costs because you can use your full grow space to produce sensimilla buds instead of useless male plants with no THC. If you want 100% feminized weed seeds, then this seed bank is the best choice.